What do you want in your mid-size sedan? Do you want a smooth, refined ride? Excellent passenger space? All the tech gear you could possibly imagine? You get all this and more in the Chevrolet Malibu, which is known for its quiet cabin, supportive seating, and impressive passenger protection. The 2015 Chevrolet Equinox and the Honda CRV are two of the most-coveted compact crossover SUVs available. Both lend comfort, convenience, and high-tech safety equipment. The 2015 Chevrolet Equinox and Ford Edge are two of the best crossover vehicles on the market. Drivers choose these models for passenger space, convenience features, and sports utility capabilities. The 2015 Chevrolet Equinox and the Kia Sorento are among the most popular crossover SUVs on the road. Both deliver a smooth ride, roomy cabin, and high-tech convenience features. The newly redesigned 2015 Chevrolet Suburban is a traditional full-size SUV that's ready for anything. Its alpha design means drivers have plenty of room for passengers and substantial power for hauling heavy loads. The 2015 Chevrolet Spark and the Honda Fit are among the most impressive subcompact hatchbacks on the road. Both deliver supportive seating, high-tech convenience features, and advanced safety equipment. The Used 2014 Chevrolet Silverado is a full-size pickup truck adept at serving as the weekday family car. Whether you are transporting home-improvement supplies, or towing a loaded trailer with a boat or snowmobile for a weekend getaway the Silverado is the truck for the job. The 2015 Chevrolet Colorado and the 2015 Toyota Tacoma are set to be among this year's bestselling midrange trucks. Both offer a variety of configurations and available powertrains. Inside, a wide range of features enhances passenger comfort and convenience. The 2015 Chevrolet Tahoe and the Dodge Durango are among the best full-size traditional SUVs on the road. Both offer spacious seating, high-tech conveniences, and a powerful ride. 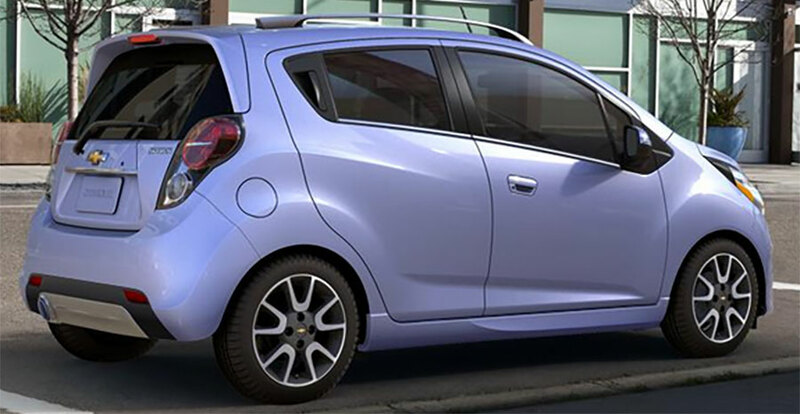 The Used 2014 Chevrolet Spark is a fuel-efficient subcompact that thrives in an urban environment. Inside, this four-door hatchback is pleasantly spacious and high-tech.